You Are Here: Home → The Single Most Important Survival Skill? You already know many factors and skills come into play in a disaster situation, but, if you’ve trained and are reasonably prepared, then one skill is more important than any other. And the overwhelming majority of Americans are woefully unprepared to use this skill. What is it? 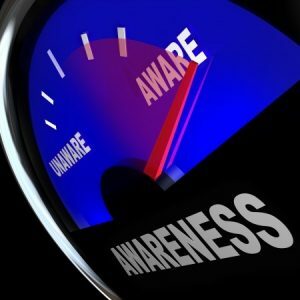 Situational awareness – being aware of what is happening around you. Why is this so important? Simply put: you have to be aware of your options and opportunities at any given time to take advantage of those possibilities. If you don’t see them, they may as well not exist. On the flip side, you have to see danger when it is present to be able to protect yourself from it. If you don’t see it, it can kill you. To paraphrase the Boy Scouts: Be prepared; be aware. To throw a humorous viewpoint on situational awareness and its glaring lack in our society, watch this short video below (hat tip to here for the source). Do you agree: Is situational awareness key to survival or would you rate another skill as more important? Tell us below. if that guy is’nt a killer, then I have missed it. How did we all survive back in the 70’s and before that without Cele phones? It was all less hectic wasn’t it.